Learning how to do keyword research is imperative to your success in SEO. When it comes to Denver SEO (it’s competitive) the right strategy is absolutely everything. It’s the first step to future success with organic search and it’s all based on keyword research. You have to know and understand your niche as a business owner in Denver but you also have to understand how search engines work and what data to take into consideration before launching your Denver SEO campaign. This also ties into how your campaign should be setup from the start. What kind of search volume surrounds your niche? What kind of demand are you looking at from a local or even national level? Are there branded content marketing strategies that you should consider? Is there enough demand from search in the first place? This is why keyword research is vital to your campaign success. We take our Denver SEO consultant title very seriously and strive to stay at the forefront of Google keyword research and analysis by using the most up to date and valuable SEO keyword research tool available for deep analysis, Ahrefs. I say Ahrefs because they are the best of the keyword research tools available in the market today. I honestly think that a vast majority of the free keyword tools available today are mostly just garbage recreations of what’s already available through the free Google keyword planner. Their data is powered by internet service providers and other data but most importantly is the ISP data. This data gives us a unique look at actual keywords people are typing into search engines on a monthly and yearly basis. This data is extremely valuable and something that Google has taken away from Denver SEO consultants. It’s what they refer to as “not provided” and is a tactic used to protect consumer data as well as some will argue a tactic used to thwart organic Denver SEO providers from getting their hands on valuable search data. No matter what side of the fence you’re on when it comes to keyword data the most important thing to keep in mind is that accuracy counts. And having that keyword data from internet service providers is the closest thing we can get to getting it directly from Google, like back in the good ol’ days. This is the forgotten step for so many business owners and companies that provide search engine optimization services. While the first step is obviously the keyword research, the second step is making sure that you’re going to be able to obtain a great return on investment for the efforts put in. This is why knowing your business is extremely important. What services or products do you provide that have the greatest margins? This is oftentimes where to look first. 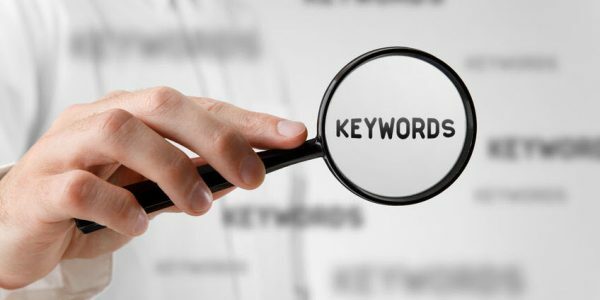 We want to look at these services that your company provides and do a deep keyword analysis on related keywords. This will tell us whether or not there’s enough keyword search volume to warrant a full blown consultation and SEO campaign. This is a vital step in your SEO keyword research phase. It will tell you just how valuable a set of keywords is surrounding any group or related group of services that your company offers. We can then compare these groups to each other, analyzing search volume to effectively determine what set of keywords could provide your company with the best return on investment over time. The Denver SEO company you choose should understand this. There are plenty of great benefits SEO can provide you. If you’re looking to grow your business then search engine optimization could be the perfect compliment to your already established business. This eliminates going after keywords that aren’t going to make you money. Obviously you want to avoid that situation. If you rank for a set of keywords it doesn’t necessarily mean that particular keyword group is going to make your company any money. The goal is to make sure that your company will make money from your SEO campaign by performing detailed keyword analysis into your niche and your top competitors in the Denver area. If you’re hiring an SEO company in Denver then you need to make sure that they’re providing you with some type of ROI analysis on the keyword research they perform for your company. Without this information you’re just throwing things at the wall to see what will stick. If your Denver SEO company doesn’t understand how to perform effective ROI analysis by performing a deep keyword analysis then I suggest you find someone that does. If you do one thing right when choosing a Denver SEO consultant would have to be this. It’s the first step in you making your Denver search engine optimization campaign effective and will pay off in spades for your company for years and years to come.